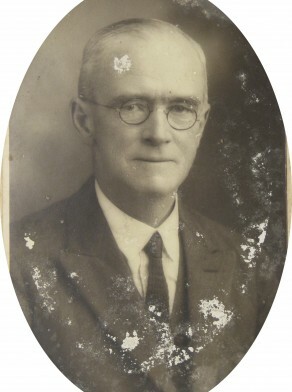 James Joseph Lahiff was born at Sydney in 1876, son of Michael Lahiff and Hannah. 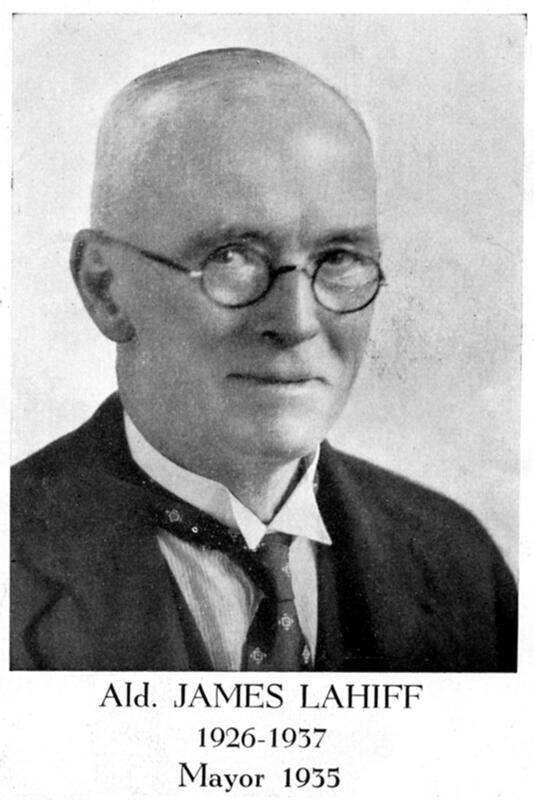 In 1906 he married Margaret Walsh at Newtown. There were five sons and a daughter of the marriage. He died at 18 Albert Street Glebe on 14 August 1958, aged 82 years. Margaret Lahiff died on 3 May 1954, aged 77 years. Lahiff was listed in the electoral roll as a french polisher. Lahiff in 1931 had sought money from the government for relief works and for warm clothing in winter. Once in winter, and again in summer, local people went upstairs in Glebe Town Hall where certain items were laid out on tables. Men received a shirt and boots while women and children received underwear, shoes and a few yards of dress material. In 1935 Lahiff convened a meeting seeking to improve conditions for the unemployed. Lahiff was patron on Glebe District Cricket Club and Glebe Rowing Club. Glebe Council under Mayor Lahiff in 1935 sought more police protection in Glebe especially on greyhound racing meeting nights. Councillors claimed it was dangerous to cross Glebe Road, Bridge Road or Wigram Road due to taxi-cab traffic dashing about the municipality.